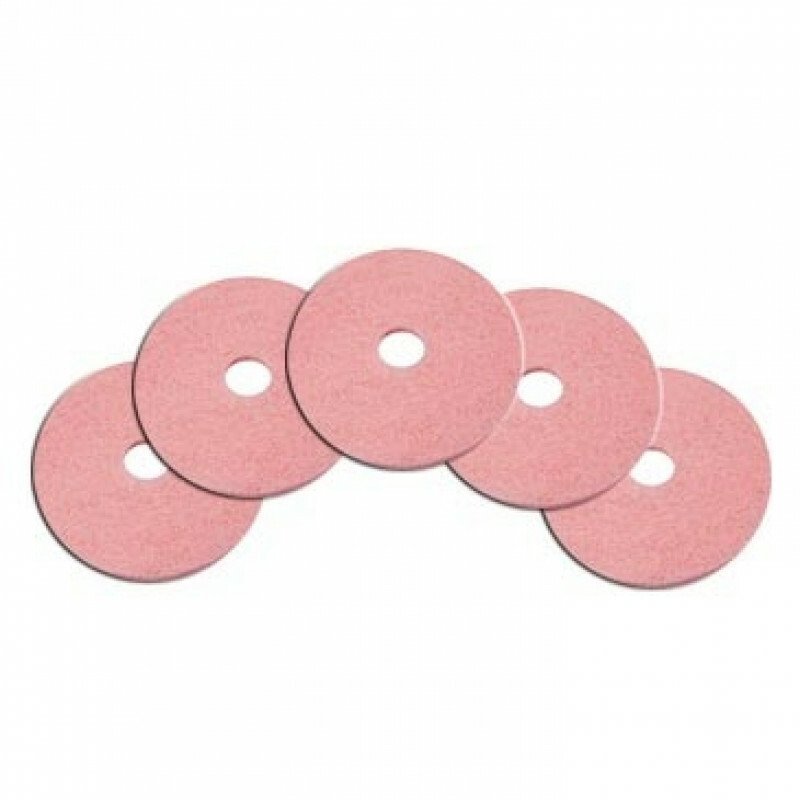 This popular aggressive pink UHS burnishing pad is made of polyester fibers in a textured non woven fabric. It effectively removes black marks and restores gloss in one pass. Ideal for use with one of our propane floor buffer polisher machines up to 3000 RPM. Take a look at our complete line of floor polishing pads for additional sizes.